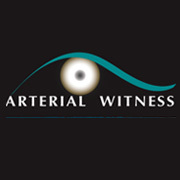 Arterial Witness is an independent, New York‐based publishing imprint. Our first publication, issued in trade paperback and various ebook formats early in 2012, is Peter Christian Hall’s revolutionary novel, American Fever: A Tale of Romance & Pestilence. As we continue to roll out American Fever, Arterial Witness may choose to publish further independent works. We would consider only distinctive manuscripts that are formally in a class with those being issued today by the great publishers—the companies that are ignoring unknown, unbankable writers. Our texts may well contain fewer typos. Please check out the winning entry in our global video contest for the clip that best captured the essence of American Fever, set to music created by Andy Gill, legendary Gang of Four guitarist and producer. On Sept. 28, 2012, winner David Rodriguez received US $1,000 for his compelling 73‐second video submission.